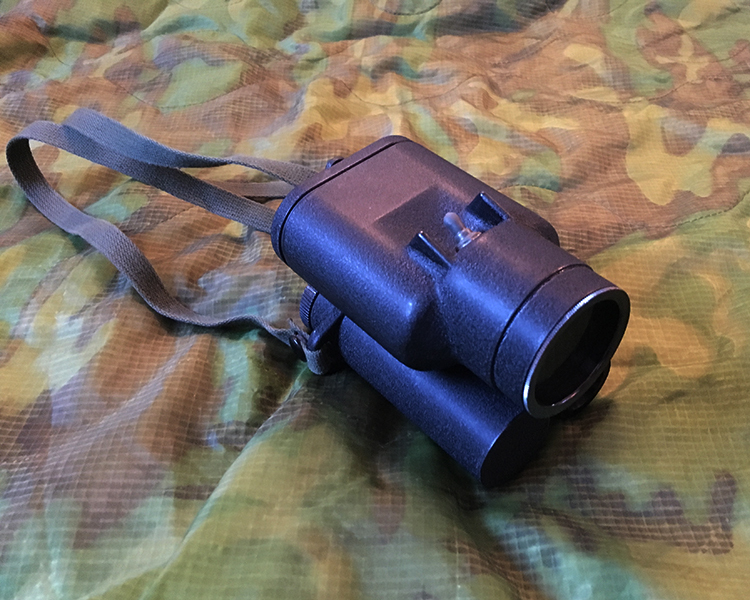 The AN/PAS-6 Infrared Viewing Device or Metascope was handheld infra red viewer which was used as an aid in the detection of enemey infra red sources or as a general purpose viewer. In the 1930s, scientists developed electronic devices to detect invisible infrared light and convert it into a visible image. 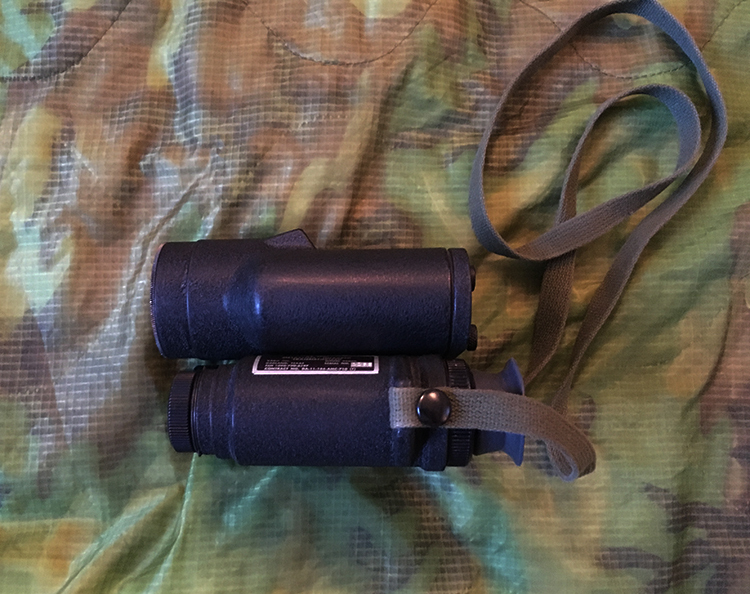 They also developed a special filter that could be placed over a standard light source (such as a spotlight) so that only the invisible infrared light would come through the filter to light up a target. If you had an infrared telescope, you could see objects illuminated by the infrared light source. Of course, if the enemy had an infrared scope, they could see your light source, without giving away their own position. The U.S. Army’s first successful units, like the one shown here were used in Okinawa in April, 1945. Later types used in Korea, and into the mid-1960s include the Metascope. 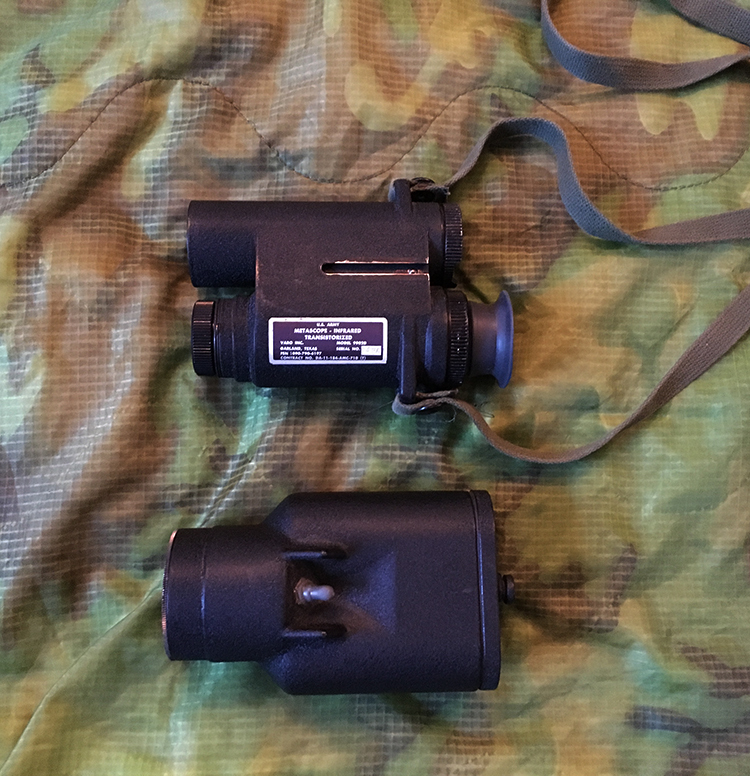 Typical range of an infrared light source for a rifle is only 100-150 yards. The scope will show a dimly visible image like a small black and green TV image. 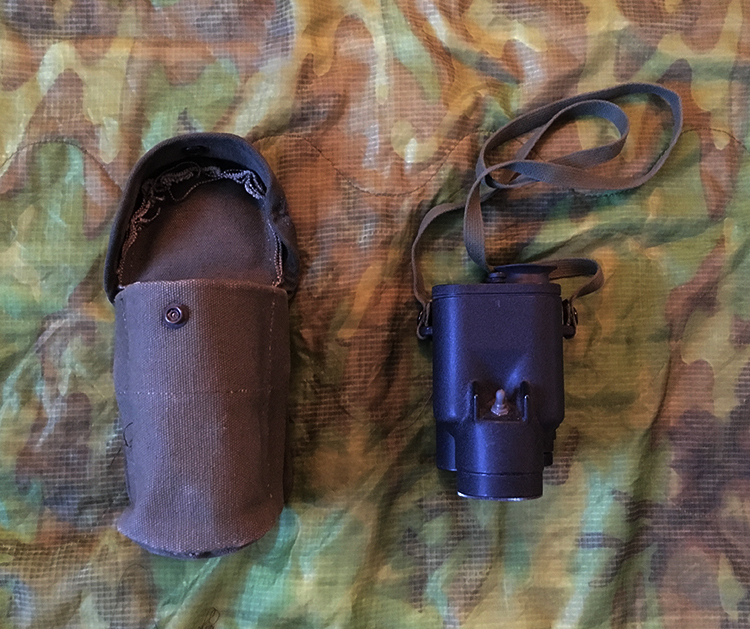 These can be seen in use by some SOG teams, notably on static sites such as the Leghorn Mission Support Site, (also known as Leghorn MSS, Eagle's Nest, Gibralter or Golf-5) was a MACV-SOG base located northwest of ? ?k Tô Base Camp, in Attapeu Province, Laos. 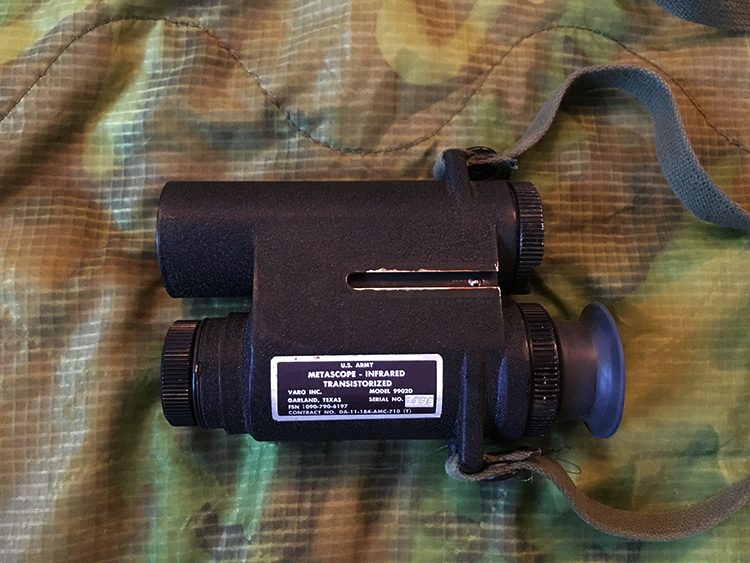 An example of the later pasive type night vision system, the AN/PVS-2 Starlight scope can be found here.